From the introduction of FM to the emergence of streaming over traditional airwaves, the radio industry has experienced many changes over the decades. “When I first got started there were a lot of small owners, a lot of ma and pa’s. There were eight or nine people that owned stations in Indy; now there are five major groups and still a few small owners. I think the biggest change is that it’s become more of a corporate business over the years,” said Deon Levingston, regional vice president and general manager of Radio One Indianapolis. Levingston remarked that diversity has been another concern within the industry. According to data compiled by Free Press, an independent media advocacy organization, women comprise over 51 percent of the U.S. population but hold less than 7 percent of all TV and radio station licenses. Additionally, people of color make up over 36 percent of the U.S. population but hold just over 7 percent of radio licenses and 3 percent of TV licenses. “Many of the Commission’s media ownership rules, written from a bygone era, are not serving the public interest, but frustrating it. The competitive and diverse atmosphere we find ourselves in today warrants less regulation, not more,” wrote O’Reilly. The letter came after reforms in September 2017 that updated technical requirements for AM radio, cable and satellite providers. While many major radio corporations have employed voice-tracking (also referred to as cyber jocking), a practice where instead of having radio talent live in studio, personalities host broadcasts from remote locations, Radio One has maintained a core community voice on the air. “Having an understanding of the community it serves and super serving that community is a core part of who they are, so that stays with them so they’re a little different,” said Levingston. Urban One, which owns TV One, Radio One, Interactive One and Reach Media, produces syndicated radio shows — featuring hosts such as Tom Joyner, Rickey Smiley and Erica Campbell — that are broadcast nationwide each day across the more than 50 stations the company owns in addition to locally produced programming. Unlike terrestrial stations, the digital sphere has allowed independent radio purveyors to share content without many of the restrictive policies and economic boundaries traditional ownership entails. The accessibility of the digital space has opened the door for a new crop of disruptors to add their voice. 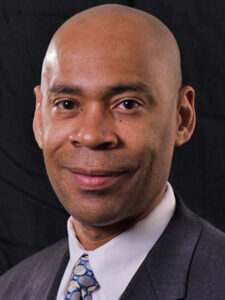 Harold Bell, a serial entrepreneur and nonprofit leader from Indianapolis, runs online radio platform Radio Next. Radio Next, which can be accessed via the TuneIn app or online at RadioNext.TV, broadcasts 14 live shows produced by Indianapolis residents on various subjects, like sickle cell disease and domestic violence awareness, local news and events of interest. “I just thought it would be something we could convey messaging to the community using this platform,” said Bell. He began Radio Next in May of 2008 with his own talk show “JumboLove.” The first broadcast he had just 39 listeners; a few months later, he had hundreds of people tuning in. Bell says the relatively low overhead costs and less restrictive nature of the online radio business has been attractive to organizations like churches, nonprofits and small businesses with limited budgets who still want to promote their message. “This is major for them,” he said. Terri Cope-Walton is news director of WRTV-6, an ABC affiliate station in Indianapolis. Cope-Walton was previously assistant news director at RTV6 before taking over as interim news director in November 2012. Before coming to RTV6, Cope-Walton worked as a producer for WHIO-TV in Dayton, Ohio, a producer/reporter for WHIO-AM in Dayton, Ohio, and an English teacher for Dayton Public Schools in Dayton, Ohio. She is a graduate of Central State University with a B.A. in English Literature. 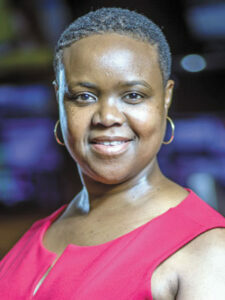 Cope-Walton is the only African-American woman to hold a TV news director role in the state of Indiana. Nationally, the percentage of African-American news directors hit an all-time high in 2016 at 5.5 percent, according to the “Women and Minorities in the Newsroom” report from Radio Television Digital News Association and Hofstra University. The same report shows that 33 percent of TV news directors across the country are women. Intersectional statistics about news director who are both women and racial/ethnic minorities are not included in the report. Deon Levingston has more than two decades of management, brand development and marketing expertise gained while leading some of the largest and most iconic media brands in the world, and he has been a part of four successful broadcast station turnarounds. 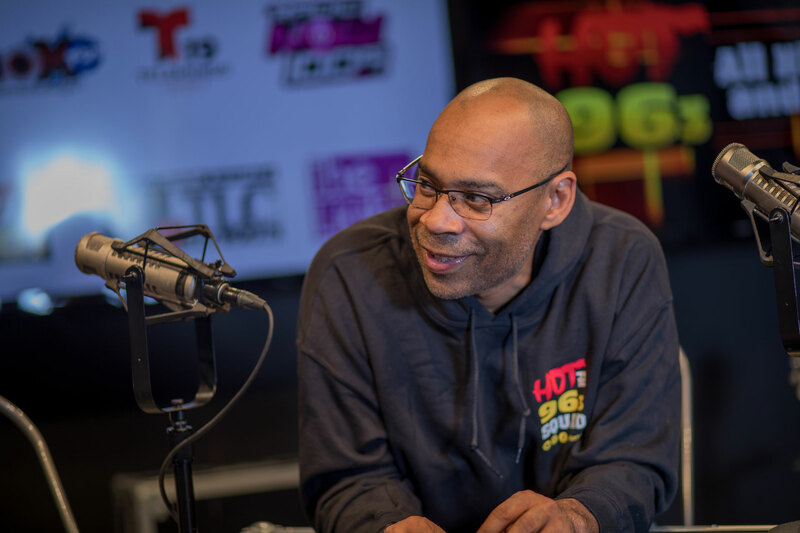 Currently, Levingston is general manager of Radio One in Indianapolis and regional vice president of Radio One operations in Detroit and St. Louis, roles he has held since February 2016 when he returned to Indianapolis after a stint working in New York. Levingston worked with Emmis Communications as senior vice president and market manager for the greater New York City area for almost two years. Before that, he led YMF Media as vice president and general manager before taking over as president. Prior to heading east, Levingston was in Indianapolis at Radio One, first as director of sales (2001–2002) then as vice president/market manager (2002–2004). Levingston has a bachelor’s degree in legal communications from Howard University. According to the “Women and Minorities in the Newsroom” report from Radio Television Digital News Association and Hofstra University, Levingston, an African-American man, is bucking trends in his position with Radio One — in 2016, only 3.6 percent of radio GMs in the U.S. were racial/ethnic minorities, and non-white radio GMs were least likely to be found in the Midwest.